No, not a business jet. A small airplane. When we think of a business aircraft, we usually think of an ultra-luxurious business jet. But for most small businesses, a jet is a bit overkill. You don’t need a Falcon 5X or a Bombardier long-range jet to get the job done. There are numerous small aircraft that will do the same job for a lot less of an investment. Take the Cirrus SR22, for example. Or a Beechcraft Baron. 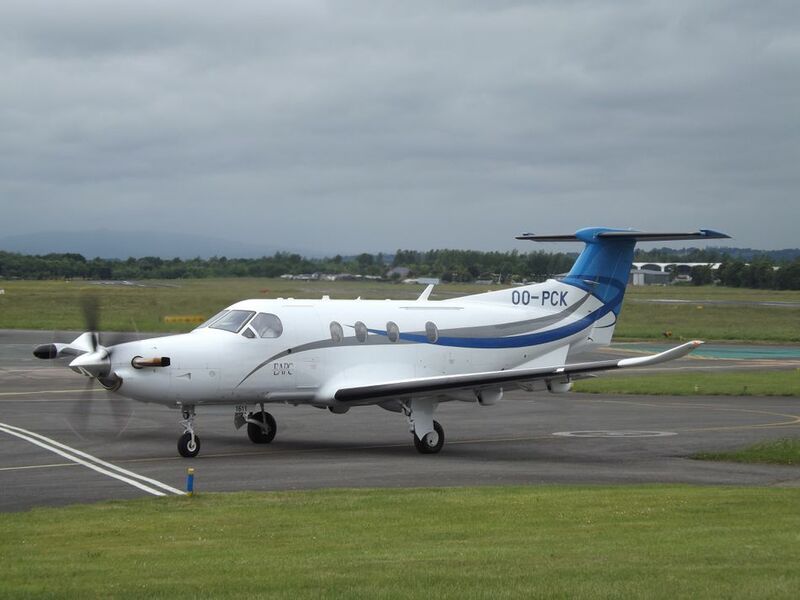 Or a Pilatus PC-12. Even the venerable Cessna 172. Depending on your specific travel needs (and, let’s face it - your desire to look cool) you could definitely save time and money with a small business airplane. But be careful—owning an airplane can result in a slight (er… enormous) obsession with aviation. If you have a small business with employees or customers in a variety of locations, a business aircraft might make sense. But it doesn’t need to be fancy. A four-seater aircraft can still usually get you places quicker than an airliner and is almost always faster than driving. And if you do want to make an impression with your airplane, there are a number of small airplanes that are simple and practical without sacrificing comfort and luxury. Do you think you need a business aircraft? Here are a few reasons you might. If you find yourself often riding on a commercial airliner or driving hours and hours to the next state over to visit with employees or clients, you’ll benefit greatly from having a personal airplane to use instead. With the exception of possible weather delays (small airplanes often don’t have the avionics necessary to fly in low fog or terrible weather conditions like airliners do, but some small technologically advanced aircraft do! ), you’ll arrive quickly and safely, with time to spare. Owning a business aircraft means you can avoid early check-in times at the airport, long lines at security, and sitting around airports waiting for your flight to depart. Having your own airplane based at a smaller airport means that you can literally pull your car right up to your airplane, unload your baggage, get in and take off. If you’re the pilot, you’ll likely be issued a security badge and a gate code. If you hire a pilot, he or she will make sure you get in without complication. No early check-in. No long lines. No waiting. With your own business aircraft, you’ll be able to make it to that meeting in D.C. and to that other meeting in NYC in the same morning, and still be home to feed the dog by dinner time. The time you save by bypassing the check-in and security lines in commercial airports will equate to hours. In your own airplane, you can hop in and go within minutes, which means you can be in D.C. for that 8 a.m. meeting, be in New York City by 12 p.m., and be home for dinner by 5 p.m. If you were to drive or fly commercial, the same trip would take hours—maybe days—longer. Job site in rural Alaska? No problem—if you have an airplane that can take off and land on a shorter runway. Flying into a large commercial airport means you’ll have to rent a car and drive to get to your final destination. With a small airplane, you can fly into an airport closer to your destination, saving loads of time as well as rental car money and the hassle of navigating unfamiliar territory. Your small airplane can be equipped with Wi-Fi so that you can work while en route. Or, you can take advantage of your time in the air to refresh with a quick nap. What’s not to love about a midday nap? You can’t always take your wife and kids with you on a work trip when it’s booked on a commercial airline, but if there are extra seats available on your own private aircraft, why wouldn’t you? And if you have pets, you know that it can be difficult to find someone to take care of them when you’re away on business. Owning your own small aircraft means that Fido can ride along. (You can even purchase an aviation headset for your dog, which makes for a really cute photo op!) Choosing an airplane that will fit your needs will be important if you plan to take the family, so make sure to consider them when you're shopping for an airplane! Nothing is stopping you from scheduling that meeting next to the beach, after all. Seriously. You can always combine a business trip with a trip to the mountains or to the beach. And besides that, visiting employees or customers all over the country can expose you to a variety of different places you wouldn’t otherwise see. No, really. According to a study completed by NEXA Advisors, LLC and published by NBAA, operating a small aircraft is a sign of a healthy, profitable company. According to the report, “Those companies that used business aircraft consistently outperformed those that did not,” and, “Business aircraft users were overwhelmingly represented among the most innovative, most admired, best brands, and best places to work. They dominated the list of those companies strongest in corporate governance and responsibility.” Whether or not your customers know the statistics, they look more favorably on companies whose assets include aircraft. Seeing your employees and customers face to face is always better than a phone or an email conversation. Dialogue and personal touch are often sacrificed when you work in a different office than your employees, or when you spend more of your time communicating with clients via email. It’s proven that face-to-face communications result in better business. The further you are away from someone, the more likely you are to exaggerate or lie, according to one study reported by Forbes. Sensitive conversations, like when you have to terminate someone or when you want to really make an impact, are meant to be had face-to-face, and an airplane can help you accomplish those face-to-face tasks in the most professional way. If you’ve ever had the desire to learn how to fly, and you own or manage a business, then maybe it’s time to join those two parts of your life together. You can start by purchasing a business aircraft and hiring a pilot who is also a flight instructor. This can be a win-win for everyone. You can kill two birds with one stone by taking flight lessons while also working efficiently at your day job. By combining flight lessons with business trips, you won’t have to take additional time off to learn how to fly at night or on weekends, and you’ll be doing it in your own aircraft, which saves money on flight training in general. You can do it gradually, by riding up front during business trips and learning a thing or two here or there, or you can jump in and study hard and fly a lot and become a pilot relatively quickly so that you can fly yourself places without having to schedule or pay for the flight crew. Being the pilot can have advantages and disadvantages, of course. As the pilot in command, your level of responsibility goes up dramatically and you’ll no longer be able to just sit back and relax in the cabin. You’ll be the one making decisions about flight planning, weather, and the flying of the airplane instead of working on your computer while you ride along. On the other hand, you may find that you enjoy having even more control over your flight schedule, and you might like being the one to make the go or no-go decision. Often times, those who are afraid of flying are more comfortable when they’re at the controls because they know what’s happening and they’re in charge of the situation. Whether you become the pilot of your own airplane or just sit in the back and relax, a small business aircraft will save you loads of time and energy. Buying an aircraft for business purposes is a decision that most people do not regret. Interested in becoming your own personal pilot? If you're interested in learning to become a pilot, and you have a small business that would benefit from operating a small aircraft, then the decision should be an easy one. Buy an airplane and hire a flight instructor to fly you around and teach you to fly at the same time. You won't regret it. Operating a business aircraft can save time, and can improve your bottom line. And there are tax benefits, too. But aircraft ownership isn't without its challenges. Airplanes come at a high price tag, and require a sharp degree of attention and focus on the costs and benefits of owning an airplane to make it worth it. A comprehensive financial analysis can tell you if aircraft ownership is right for your business.